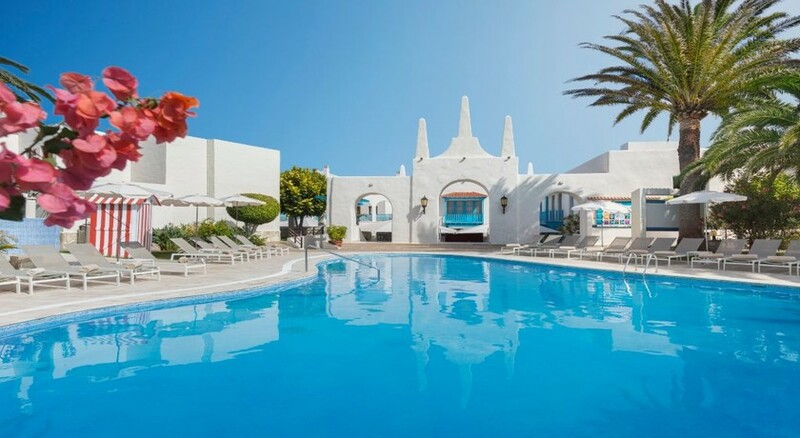 Adding splendor to the natural setting, the Suite Hotel Atlantis Fuerteventura Resort is like a cherry topping. 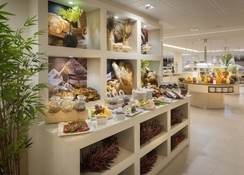 It provides all modern facilities and amenities keeping in mind the comfort of its guests. Multilingual staff, 24x7 front desk, express check-out, luggage storage, arcade room, gym, spa, kid's club & pool, sauna and seven outdoor pool are some facilities to mention. 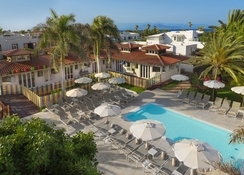 The resort also provides babysitting, grocery store, free Wi-Fi, tennis court, laundry service and limo rental. Whether you are a vegetarian or a non-vegetarian, you will find multiple food specialties from India, China, Thailand, Indonesia and Japan. With four classy bars and lounges, the options are plentiful for those who want to drink and have unlimited fun. 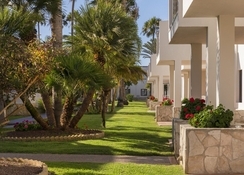 Close to a lovely fishing town of Corralejo, Suite Hotel Atlantis Fuerteventura Resort is built adjacent to Corralejo Natural Dune Park. The location is one of the most beautiful regions of Fuerteventura, surrounded by 1,250 acres of white sand, and at places forming sand dunes up to 50 meters. The resort is built overlooking the turquoise blue ocean and the mesmerizing landscape. 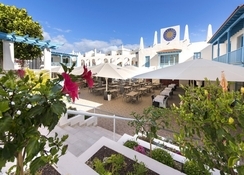 The Airport De Fuerteventura is 41km from the hotel. All 383 rooms offer basic facilities including air-conditioning, electricity 220 V, fridge, TV with satellite, wiring desk, phone, safe-deposit, bathroom with shower, hairdryer, magnifying mirror and WC. Rooms are divided into three categories; Junior Suite, Junior Suite Premium – Exclusive for Adults from 16 Years, Suite One-Bedroom and Suite Two-Bedrooms. 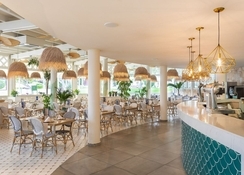 Suite Hotel Atlantis Fuerteventura Resort ensures that it keeps the guests entertained throughout. Beach volley ball, mini-basketball, table tennis, darts, shuffleboard water polo and aqua-aerobics are some activities, which can be enjoyed in and around the hotel. It also brings to younger guests some exciting activities and entertainments with a mini club and kids club. The exclusive spa with five massage rooms is a perfect place for rest and relaxation. 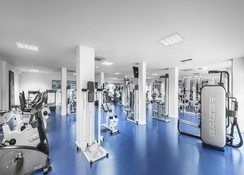 It also houses a well-equipped gym with the latest equipment, it is a place to fancy. In the evenings, you can also stroll along Avenida Marítima where you’ll find restaurants, bars and cafes of all kinds, and huge cultural attraction, music festivals, carnivals. Even otherwise, you’ll find your company for diving, swimming, surfing and kite surfing. Excellent resort ,all that was advertised was delivered. Everything about the hotel was lovely it was spotlessly clean only 2 things were wrong. 1st the food which was not great an always the same plus not a lot of choice for kids. 2nd was sunbeds the first wk was fine but by second wk you had to be up very early as people were putting towels on them at 6.30am then not coming to pool until late afternoon we felt as a family this could of been better managed.